This last week has been a slightly different one for all of us. I would like to start off by thanking the community for your generous support following my decision to announce that I intend to retire from my position as College Principal at the end of the year. I have been humbled by the level of positive support. This support from such a wonderful community is the reason I have dreaded this day. The decision to retire was both an easy one and a difficult one. The strength of this community and what we have collectively achieved can be seductive and there is an easy position to feel that you can go on forever. The reality is that as life-giving as this journey has been, it has been an exhausting one. In the end, on a personal level, it is time for me to devote more time to my family and myself. With three grandchildren who mean the world to me, it is time for me to be the grandfather I want to be and to have more time for them. Similarly, I have been blessed to have spent my entire working life with a very patient and special person. My wife Wendy has been incredibly supportive and understanding as she has allowed me to follow the dreams I have had in my working life and more recently to commit the time and effort needed in my role as ATC Principal. It isn’t something I take for granted and I would like to be able to have time for the unexpected to have a place in our lives. For those who know me, you would understand that retirement for me is not sitting back on a rocking chair with a knitted rug over my knees. You are only as young as you feel and I have a sense that at some stage there will be something else in life for me to do and I want to be able to stop, rest, smell the roses and if in the future something ‘knocks on my door’, be in a position to follow the next dream. For many people, I do realise that my decision caught them by surprise. Change is an interesting phenomena. Most of us like to be in control of our lives and therefore we are more at ease living the same kind of life every day, following the same routine. But change is always present around us and the outcomes of change are often influenced by how we respond to it. As Eckhardt Tolle explains ‘Some changes look negative on the surface but you will soon realize that space is being created in your life for something new to emerge.’ For our community this small adjustment will create an opportunity for the best to continue and time to look for the next opportunity available to take the community forward. The strength of our community is the buy-in we have from all involved. The reality is that there is only one small change being planned for next year. In fact it is one change within a staffing level of close to 150 committed professionals. The wonderful staff we have, who are the people who make the magic happen on a day to day basis, will continue in their normal energetic and committed way. For those members of our community who are wondering what happens now, I would like to offer the following information. In the coming weeks EREA will launch an advertising campaign to find the next Principal of ATC. This campaign will be Australia wide and I would be confident that it will attract a quality field of educators who would welcome the opportunity to lead such a vibrant community. Whilst this advertising process is in place there will be an opportunity for any interested members of our community to participate in a community consultation on what they, the community, feel they want in their next Principal. An in-depth consultation process will take place with the College Leadership Team and with the College Board. Staff and parents will also be invited to voice their thoughts either by accepting an invitation to write in or to take up an option for a face to face meeting. Peter Chapman our EREA Regional Director will oversee this process. 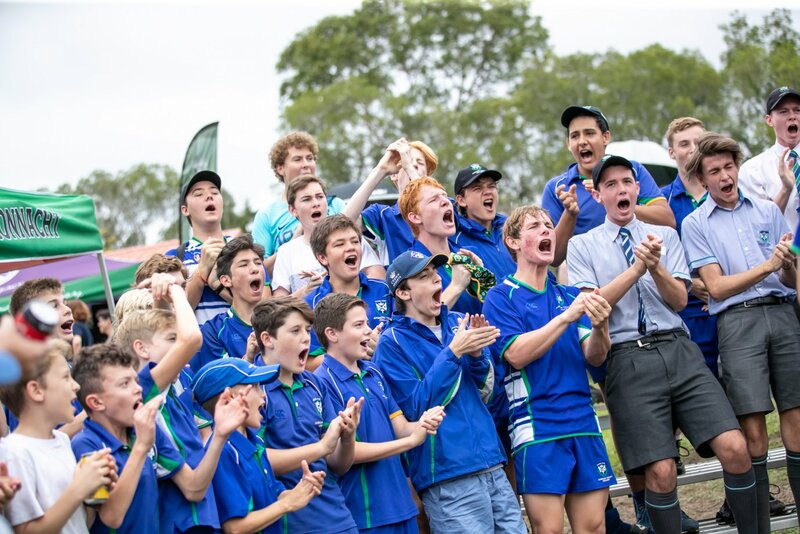 As Allan Watts would suggest – ‘The only way to make sense out of change is to plunge into it, move with it, and join the dance.’ Our community will continue to have an important role to play in where the College goes and I would encourage you to add a voice to your aspirations for our community. Finally I would like to repeat my earlier thank you. From what started as a moment I was dreading, has been an incredibly humbling experience for me. Thank you. My sense is that this decision is the right one for me and importantly the right decision for our community at this particular stage of its young journey. The upcoming holidays are no doubt looked on from a mixed perspective. Judging by the tired expressions on the faces of many of the students (and some teachers!! ), it has been a busy term. This term has seen the majority of new students settling well into the ATC life and routine and most would feel that they have made new friends and feel comfortable in the community. Once again the majority of students have positively engaged with each other as a community and there is a calm buzz about College life. 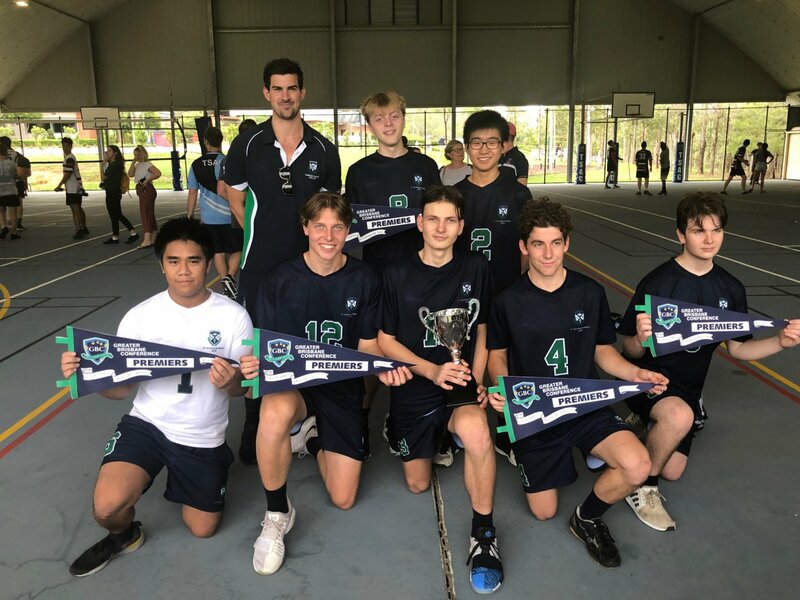 This buzz was particularly evident last weekend – there was excitement as five of our volleyball teams competed successfully in finals of the GBC competition and there was a wonderful feel as the football seasons started on Jack Bowers Oval. 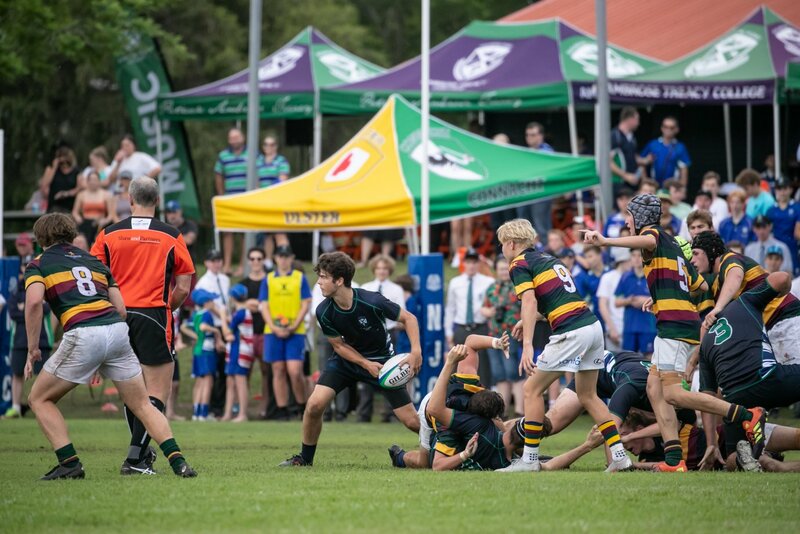 In many ways the feeling on Jack Bowers Ovals captured everything -a time where sport and culture seamlessly blended as our Taiko drummers and Jazz Ensemble supported a large band of supporters on the hill as our 1st XV and 1st XI teams battled it out on the field. 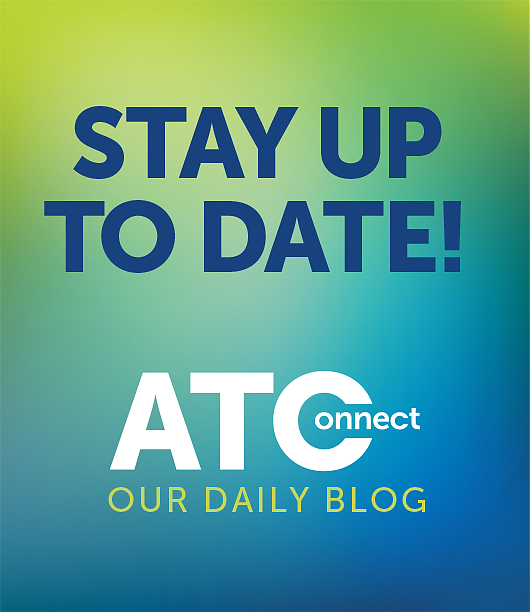 It is days like this that make me feel really proud of the special ATC community. 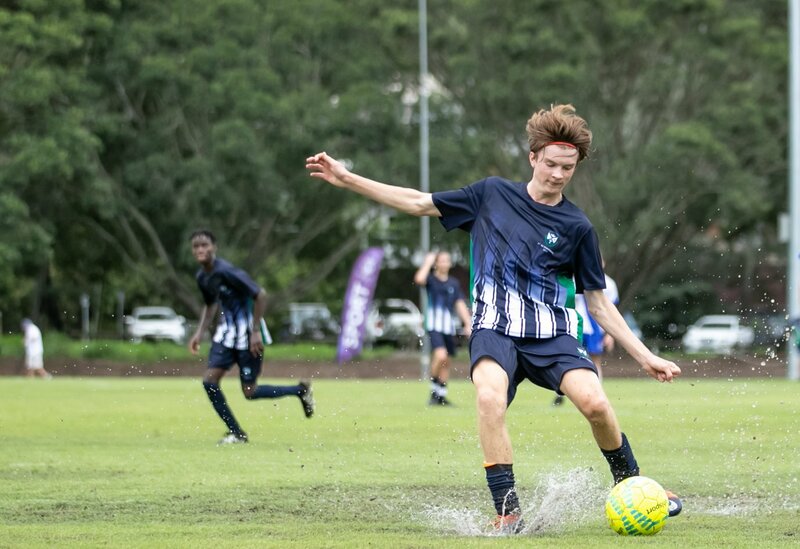 Throughout Term 1, life has been busy on the sporting front with swimming, volleyball, water polo, paddle play, triathlon and cricket busily engaging our sportsmen. Similarly cultural life at the College is off to a flying start with large numbers of boys in the various bands, choirs and ensembles, while the recent school camps were a great success in challenging students. This is just a small snapshot of the term, with many other excursions, activities and events filling the remainder of the time. I hope that the upcoming break is restful for both students and staff, because the reality we face is that the next term is going to be just as busy and there will many opportunities for students to be challenged, engaged, dynamic and courageous. The end of Term 1 reports will be available to all families at the end of this week through SEQTA. 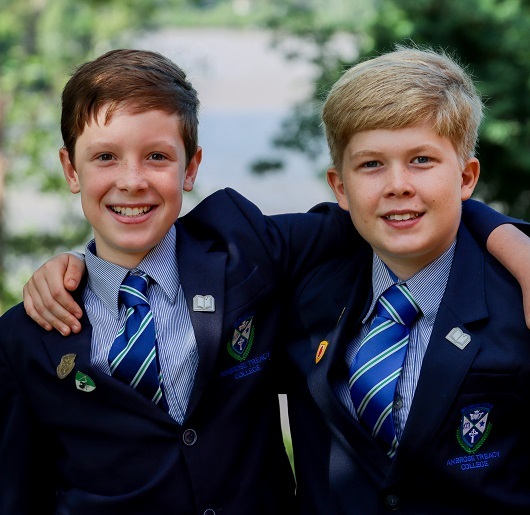 The indications from the reports are that majority of the students have settled well into the new classes this year and that they are making pleasing progress in their academic pursuits. I would remind parents that this first report is a snapshot of the start of the year and in particular how your son has begun the year. These reports serve to give you an insight into their application to their work and whether they are meeting general curriculum expectations. Given the short time frame, these are not definitive reports that are based on a range of tests rather, they are largely an intuitive feel for how the students are coping with their work and their relationships within the classroom. The end of term will realise a few changes on the staffing front. Sadly the end of Term 1 will see Darrylyn Edmistone bring to an end a sixteen year association with the College. Darrylyn will retire having given wonderful service to the College as a School Officer in the library and classrooms and more recently as an energetic and welcoming member of our College Reception staff. Her bright and bubbly presence in our office will be missed. This change will see Kate Woodham change her focus from working in the Junior School as a classroom School Officer to joining our Front Office staff. This week will also see the finalisation of a number of changes within our Front Office. More recently we have restructured our administration office with the appointment of Glynis Galletly as our Administration Manager and Jodi Rivalland has been appointed to Glynis’ previous role as Professional Assistant to the Principal. Both Jodi and Glynis are incredibly capable and hardworking professionals and I feel we are very fortunate to have them both working in these important roles. This week Tammy Sleeth will commence at the College in the support role for David Gardiner as his Professional Assistant. As a final step in our restructure, Helen Hicks will commence next term in the new role as an Administration Assistant supporting our Faith and Mission, Enrolment and Learning departments. On the teaching front sadly, we will farewell Jamee-Grace Rose from our Middle School STEM department at the end of term. Jamee-Grace’s partner has been offered an employment opportunity in the United States. In her short time with us Jamee-Grace has had very positive engagement with all her classes. From the beginning of Term 2 Georgia Appelhof will take over Jamee-Grace’s classes. Annabel Wolf will be taking some leave following the birth of her granddaughter and her classes will be covered by Leanne Gordon and Julia Palaszczuk. Leanne is a regular relieving teacher at the College and Julia is taking some time out from her work in the Westcourt iCentre – both Leanne and Julia’s experience and knowledge of the community will make this cover seamless. In my final blog for the term, I would like to extend a warm thank you to you all. I look forward to re-joining our community for Term 3 and continuing to celebrate our first year as a full Year 4 to 12 community.